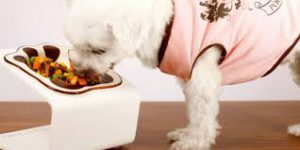 Good to see you, Thinking of getting a Dog Bowls Stand for your doggie for their food and water bowls this can be a great idea to help them with digestion and to eat properly. These have been out on the market for some years now and people have found that they serve many benefits for their doggie making it much easier for them to eat and digest their food. You would not think much about it helping with digestion but with them not having to bend over and grab the food up with the jaw this tends to let me them chew their food properly helping with digestion. One other nice thing about the dog bowls stands is you have less of a chance of your doggie chocking on the food because they are not gulping it up out of the bowl in the first place. Stands come in many different sizes designs and colors so choosing on to fit in with any decor in your home is not going to be a difficult one. I have even seen some that people have made themselves and they turn out very cute and functional. So if you are a do it yourself person making these are just finding a pattern or having the know how to make. Raised feeders provide ease of access to food and water which can help keep your doggie from chasing the food bowl all around the floor while trying to eat. Consuming food from elevated dog bowls places less strain on the dog’s neck, hips, shoulders, and joints, which promotes better posture and less pain to older dogs that have arthritis. Having a messy eater this can sometimes help them clean up their act when eating but is not a guarantee this will happen some dogs just are messy eaters no matter what. 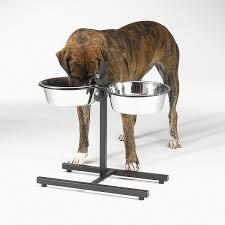 Dogs that suffer from old age or arthritis can benefit the most from dog bowls stands to make it much easier on the joints when they are no longer required to bend over to eat. These can also be beneficial to older people who love their doggies and find bending over to the floor more difficult as time goes on because they also suffer from arthritis. With large breed dogs, people were told these types of stands would help the dogs from contracting “bloat” which is seriously fatal to the large breed dog. Bloat occurs within an hour after eating so if your large breed dog has arthritis and it is more comfortable for them to eat this way then we must recommend you watch them closely during the time they eat and an hour after. Large breed dogs have a tendency to eat faster when they are at the comfortable level of eating from these types of feeders and because they gobble up the food this allows more air to accumulate in the stomach causing the “bloat”. Finding this information was shocking to me because I always thought that providing your doggie with comfort was the best possible thing for them. Should your large breed have arthritis or other medical problems then using dog bowls stand is not a problem just keeping an eye on them is important to make sure they are taking their time to eat the food. Small breed dogs do not suffer from contracting “bloat” from eating and therefore it is very acceptable to feed them from the dog bowls stand. Just as human systems are all different the same applies to breeds of dogs and the size of the animal so please use the best judgment when it comes to your doggie. When you have more than one small breed doggie having their own dog bowls stand gives them a feeling of importance but can also make them territorial so training is important when deciding to use these. I was seriously shocked to find the information about dog bowls stands that I did when these first came out people promoted them as really great for all sizes of doggies especially the large breeds. Finding this information has made me see that sometimes things are not as good as they sound on a product when it first hits the market – even tho I have medium breed dogs mine still eat from the floor. 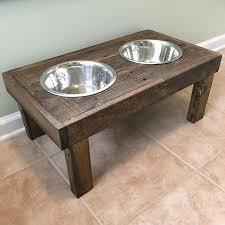 What are your feelings about dog bowls stands? Do you think that they are a good thing? 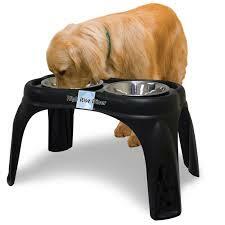 Do you use a dog bowls stand for your doggie? 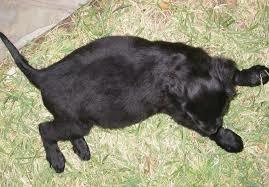 If so, what breed do you have? Love hearing from everyone on these and if you have any questions, comments, or suggestions please leave them in the space provided below.